Gorillaz will be making a stop in Philadelphia this month as they travel across North America on their The Now Now Tour. The virtual band is set to take over the Wells Fargo Center with support from The Internet on Thursday, October 11 at 7:30 p.m. Tickets are on sale now. 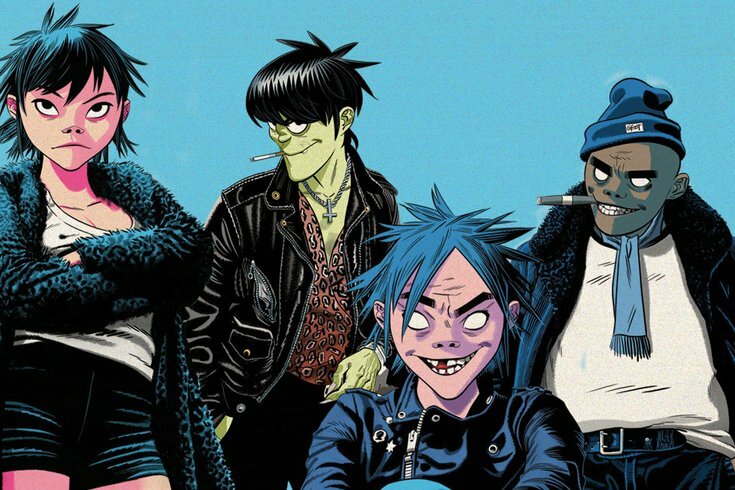 Created by Blur’s lead singer, Damon Albarn, and comic book artist Jamie Hewlett, the virtual band consists of four animated characters – singer 2D, bassist Murdoc Niccals, guitarist Noodle and drummer Russel Hobbs. Gorillaz have topped music charts around the world with hits like “Feel Good Inc.,” “Clint Eastwood” and “DARE,” and are recognized by The Guinness Book Of World Records as the planet’s Most Successful Virtual Act. The band recently released its sixth studio album, The Now Now, over the summer and continues to achieve success through entirely ground-breaking ways. Experience the psychedelic universe of Gorillaz for yourself. Get your tickets to see them live in concert now.